First I scoped out clothes for the boys. 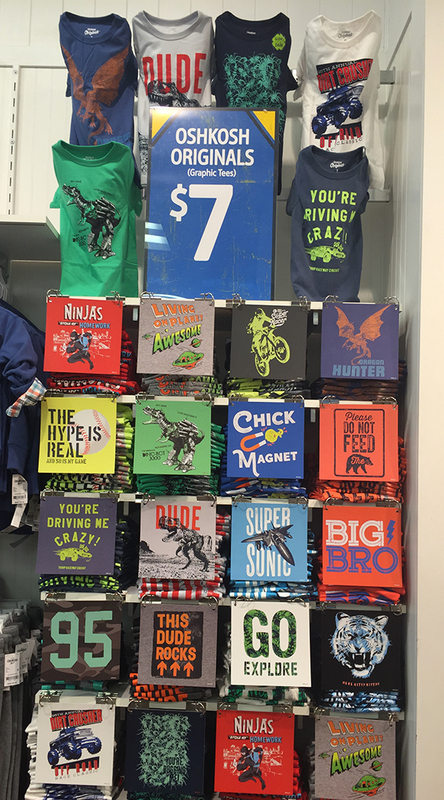 Their t-shirt wall is always fun to browse, and the kids love to pick their favorite shirt. 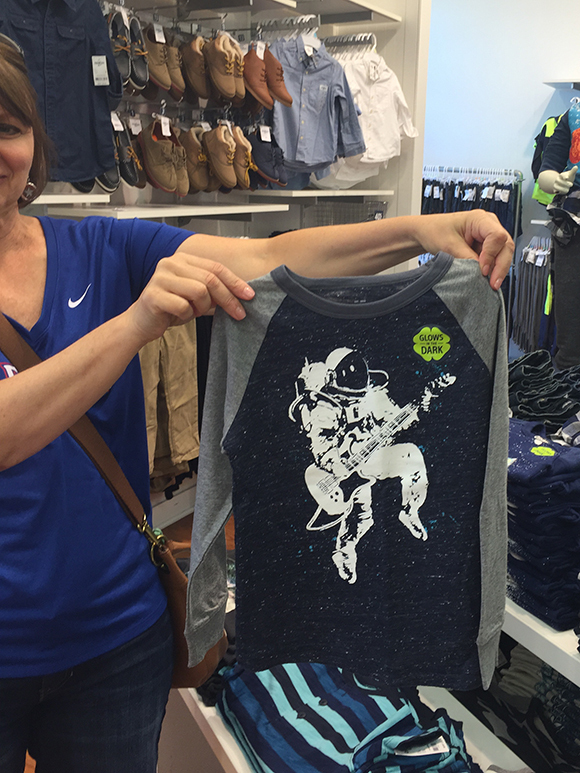 I found some awesome glow-in-the-dark space themed shirts, and got one for each of the boys (my mother-in-law just thought she was cropped out of this picture as she assisted me!). These shirts have a great look, are super soft, and the boys will just love that they glow in the dark. 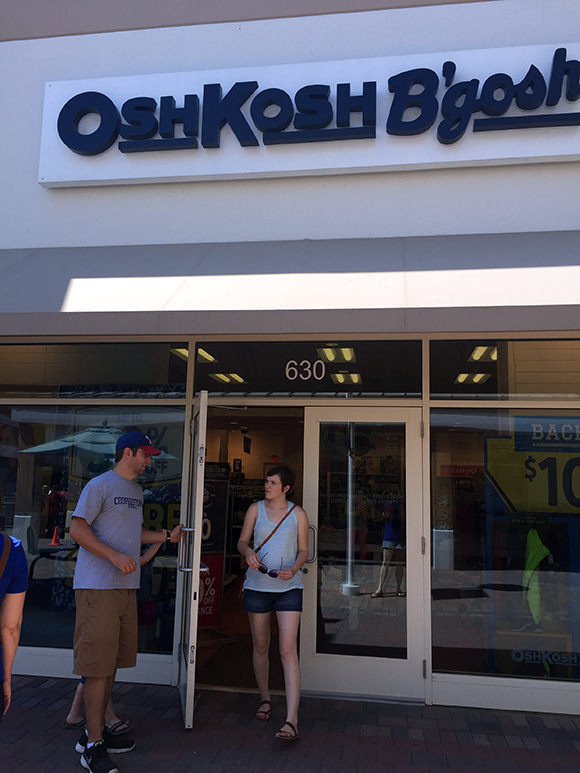 I also love OshKosh’s selection of “church clothes” as my kids call them. 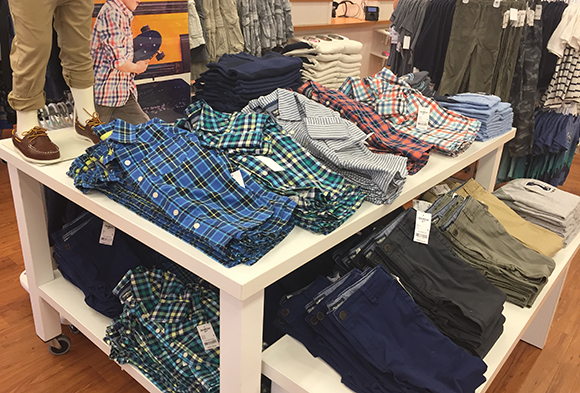 They always have a good variety of plaid button-ups, polos and khakis. 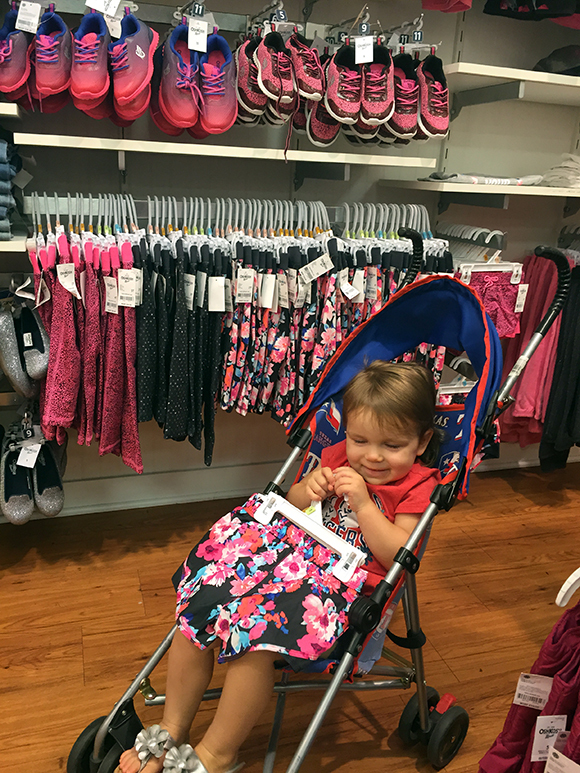 E was with us for this shopping trip and she was in heaven. 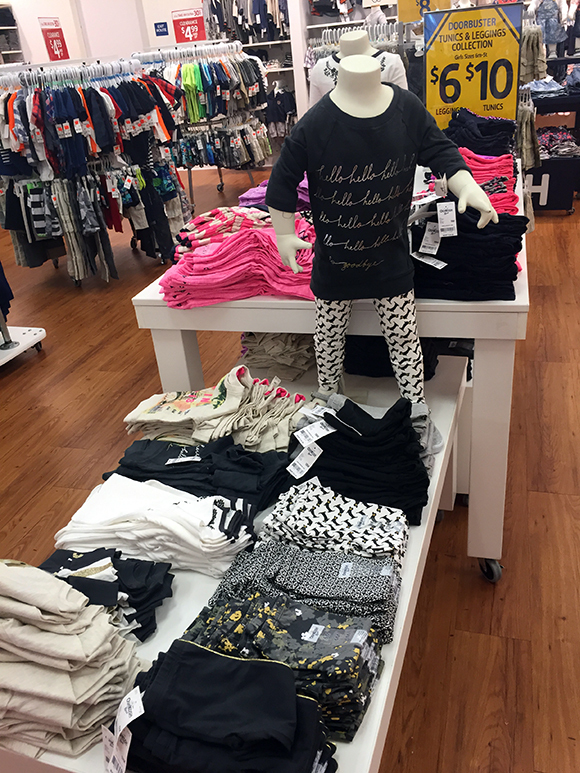 If it were up to her, she’d have had us buy one of everything! She’s really into athletic clothing right now so she loved this wall, and these floral shorts in particular. 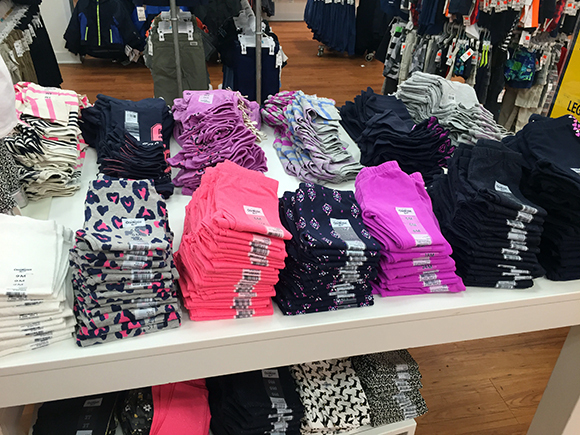 Look at all the leggings! I got E two tops and two pairs of leggings for school. It was awfully hard narrowing down my choices, though! I’m in love with all the black & white. 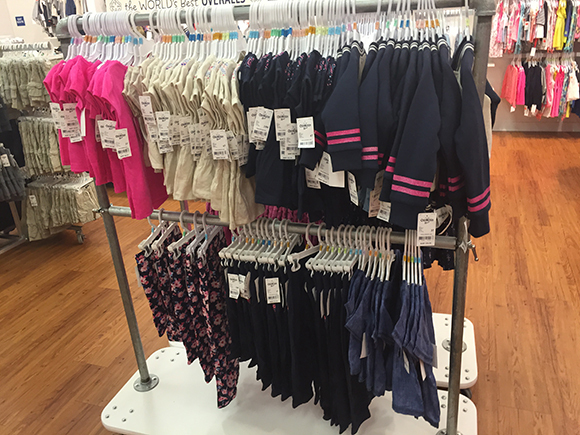 There are many items that I wish they made in adult sizes! 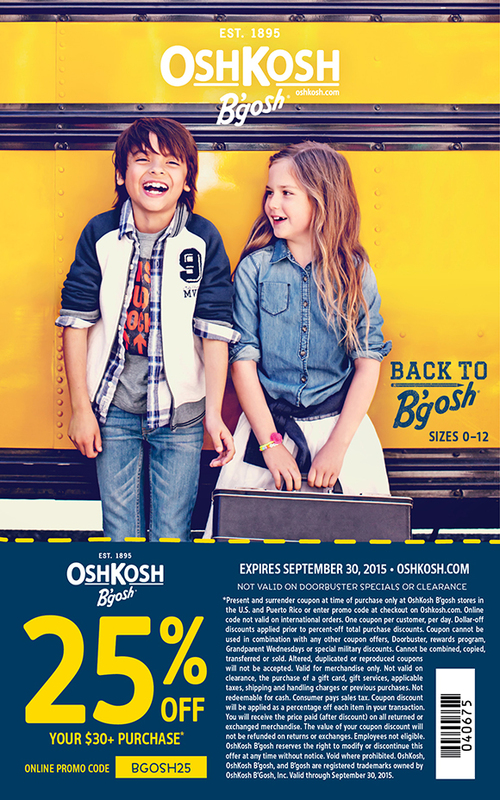 Find your closest store here, or you can use it online, too, with the code BGOSH25. 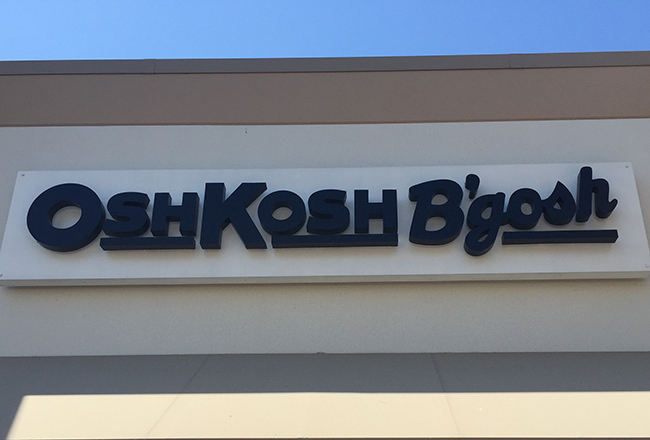 Another thing I don’t want to forget to share with you is the “B’gosh Jeanius Campaign.” OshKosh B’Gosh is partnering with K.I.D.S./Fashion Delivers, Inc. and DonorsChoose.org to give customers the opportunity to donate a new pair of jeans or make a cash donation to help students that really need it. Any denim donated from now until September 16 will be delivered to local children in need, and cash donations will be distributed through DonorsChoose.org. Even better? The Carters Charitable foundation will match all cash donations up to $50,000 and all denim donations with an item of new clothing. 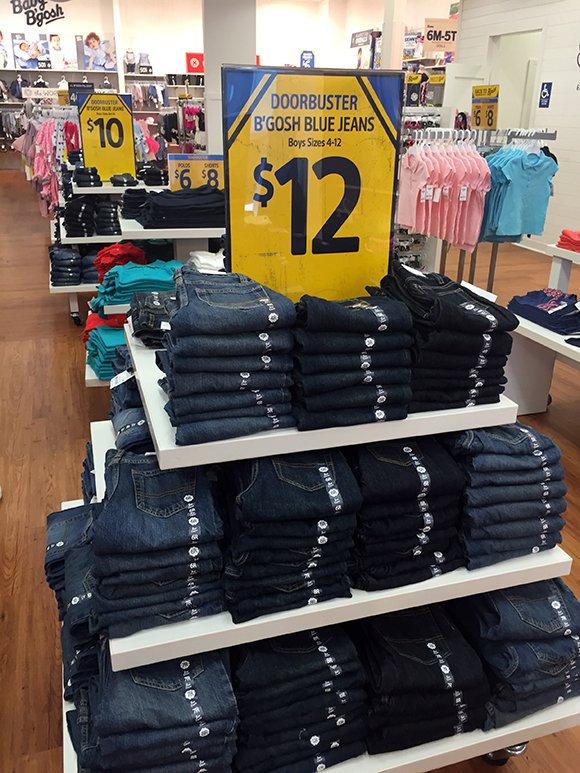 I know we have jeans that our boys have outgrown – and since OshKosh jeans hold up so well we still have some pairs that have the knees intact. I love the idea of them going to a child that really needs them. For more information on the Jeanius campaign, click here. 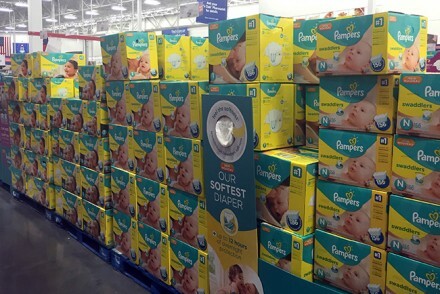 Sam’s Club Baby Days + a Giveaway!